Head ten minutes north of London and you come across Ilderton. 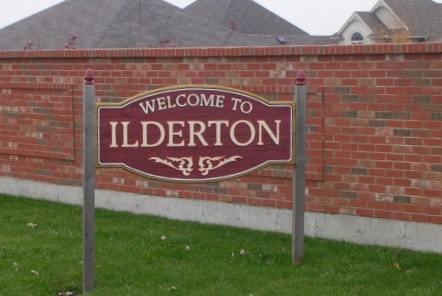 Ilderton was once a rural community of maybe 80 homes. Now it is home to over 2500 and growing. Most homes are just a few steps away from rolling countryside providing enjoyable walks and cycle rides. The ball diamond and play fields are popular venues along with the skateboard park and splash pad provided by The Ilderton Optimists. New developments including Timberwalk have helped grow this once rural community. With more developments planned for the near future. Rumour has it a Tim Hortons will be opening soon.